Le Cordon Bleu will participate in the HORECA exhibition which will take place in Beirut, Lebanon, from 5 to 8 April, 2016. This annual event brings together restaurant and hospitality industry professionals from Lebanon. 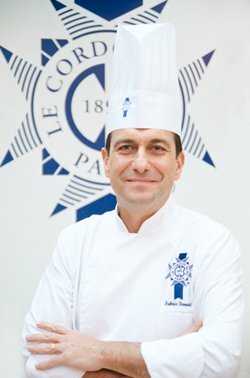 Le Cordon Bleu Paris Chefs, Éric Briffard, (MOF - One of the Best Craftsmen in France - 1994), Executive Chef and Culinary Arts Director, and Fabrice Danniel, Assistant Culinary Arts Director and Head of Le Cordon Bleu Pastry Department, have been invited to be international jury members for the different competitions. These take place during the HORECA Culinary Exhibition whose guest of honour will be Chef Guillaume Gomez, Executive Chef at the Élysée Palace and President of the “Cuisiniers de la République” association. 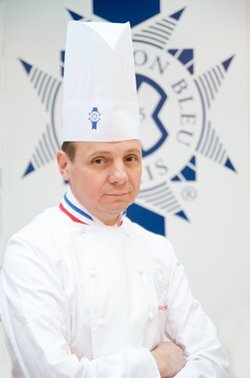 The cuisine competition winner will be awarded a Le Cordon Bleu HORECA scholarship for a week’s training at the new Le Cordon Bleu Institute campus in Paris. Le Cordon Bleu has been a partner of the Saint-Esprit de Kaslik (USEK) University, in which Le Cordon Bleu training programmes in Hospitality and Restaurant Management are taught, for more than 11 years. On 8 April, Chef Fabrice Danniel will host a pastry workshop for students on the theme of new-style lemon tart and Paris-Brest. Time: from 3 p.m. to 9 p.m.